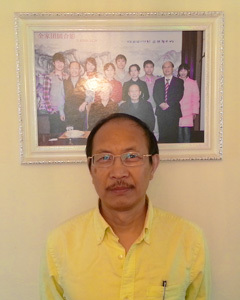 Yuan Changming, eight-time Pushcart nominee and author of five chapbooks (including Kingship, 2015, is the world's most widely published poetry author who speaks Mandarin but writes English. Growing up in a remote Chinese village, Yuan began to learn the English alphabet in Shanghai at 19 and published several monographs on translation before moving to Canada. With a Ph.D in English, Yuan currently co-edits Poetry Pacific with Allen Qing Yuan in Vancouver and, since mid-2005, has had poetry appearing in 1,029 literary publications across 35 countries, including Asia Literary Review, Best Canadian Poetry (2009,12,14), BestNewPoemsOnline, London Magazine and Threepenny Review.